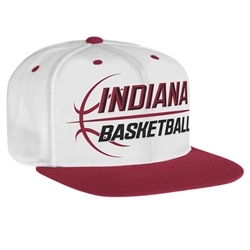 This ADIDAS Indiana Basketball SNAPBACK adjustable hat is white with contrasting crimson visor. 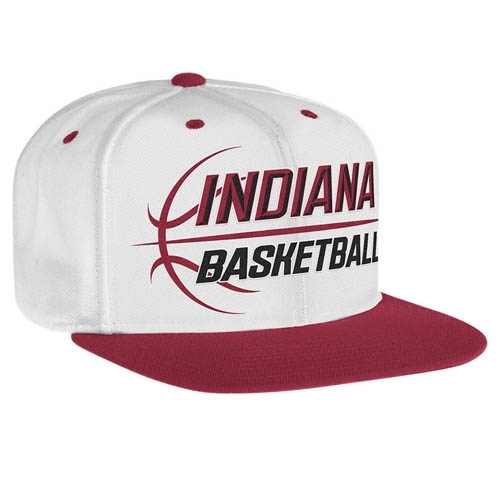 Hat has a front Indiana Basketball design embroidered with the IU logo on the left side. Made of 65% Acrylic/ 35% Wool. 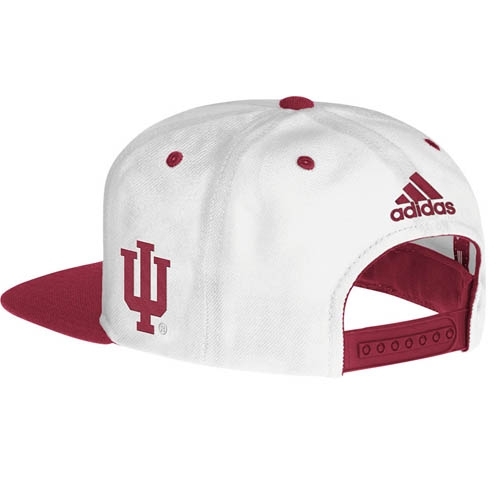 ADIDAS logo is embroidered on back of cap. One size fits all.